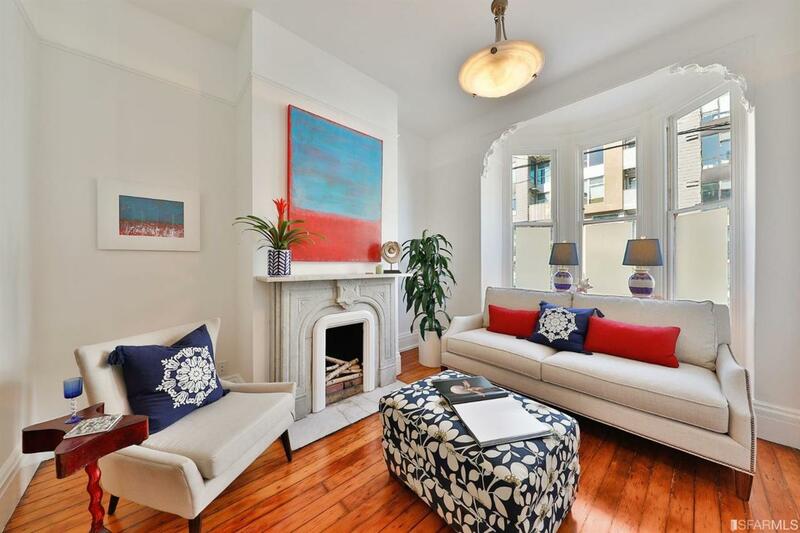 Honoring the classic details of the late 1800's; boasting soaring ceilings, gorgeous molding, wood floors & timeless double parlor make this full floor flat perfect for entertaining or private evenings at home. 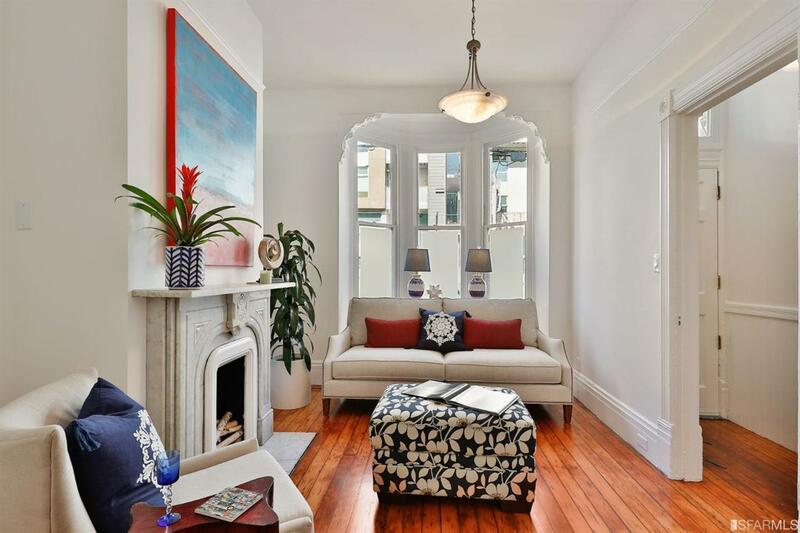 Updated Victorian condo with flexible floor plan, a remodeled kitchen, 2 bedrooms, 2 full bathrooms, study, outdoor space & storage. 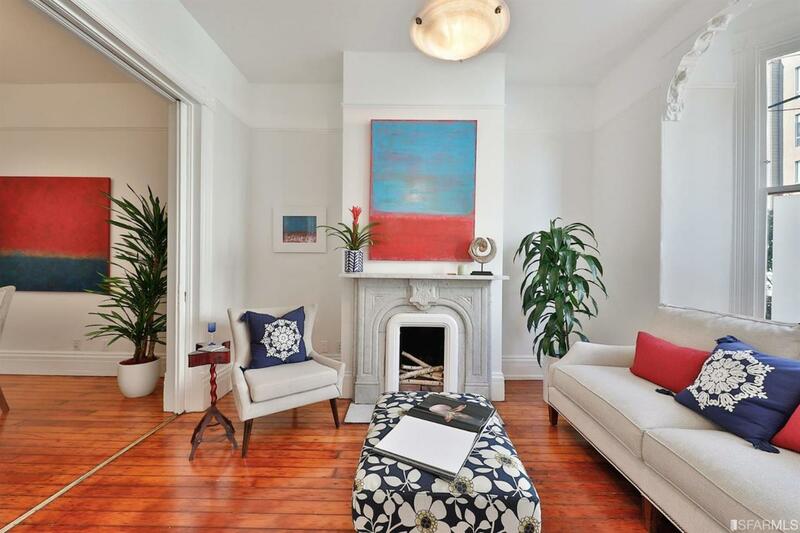 Whether you're considering a home for yourself, with roommates or a city pied-a-terre this spot is hard to beat. Steps from the hub of the arts; Opera, Symphony, Ballet, Jazz Center or Nourse & the vibrant night life of Hayes Valley & at the intersection of top eateries & boutiques. Explore on foot before or after an easy access commute to downtown or Silicon Valley. Walk & Transit Score 100! 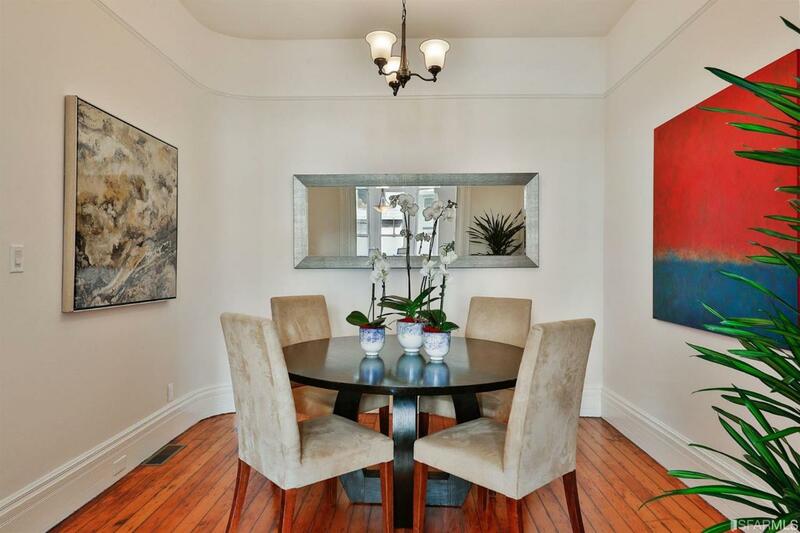 Listing provided courtesy of Tamara Ann Weinstein of Compass Sf.